Published: May 8, 2013 at 11:14 a.m. 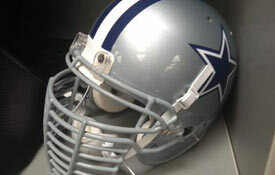 Updated: May 8, 2013 at 04:47 p.m.
DeMarcus Ware is the latest NFL player to make the switch to an enhanced facemask. DeMarcus Ware's eight-bar facemask is just the latest among the wild NFL facemasks throughout the years. The Dallas Cowboys defensive end on Wednesday gave fans on Facebook a look at his new helmet, which includes a facemask with eight horizontal bars. Ware's previous helmet had four bars. "Getting my armor ready for the season," Ware wrote. "Will be suited up for battle!" The facemask is similar to the one used by Justin Tuck. The New York Giants defensive end added the extra bars last year to make it harder for opponents to grab his facemask. Tuck suspected offensive linemen were yanking on his facemask in an attempt to aggravate a neck injury. Ware likely seeks similar protection. The Cowboys star has dealt with recurring neck stingers going back to an injury caused by a helmet-to-helmet collision in December 2009. 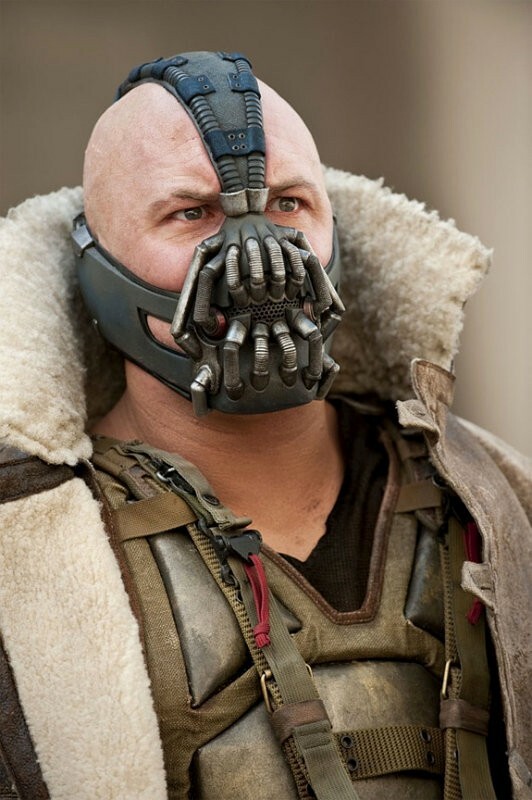 So yes, the facemask gives off a subtle Bane vibe -- which is obviously solid. But it also has practical value.